PROSPECT. CONSULT. DEVELOP. PRESENT. CUSTOMIZE. IMPLEMENT. FEEDBACK. We are encouraging our team members and affiliates join the National Sexual Violence Resouce Center’s “I Ask” campaign this April. Take time to educate ourselves and those around us in all matters pertaining to sexual assault and the various forms in which it may occur. Visit local sexual assault resource centers to learn of ways you can get involved to gain more education on sexual assault and other ways you can contribute to the mission of ending sexual violence. Take to Instagram, and participate in the #30DaysofSAAM. Follow the rules for an opportunity to win daily drawings. Ask yourself, “What is marketing?” Do you understand how marketing can improve or damage the results of business operations? Many small business owners and middle level managers think they have a grasp on the principle of marketing until asked to discuss their strategy. Every business should have a marketing plan in place and make reasonable assessments of said plan to ensure continued growth and positive returns. Nothing makes me cringe more than hearing an owner say that he/she doesn’t need to invest in marketing for one reason or another. Even in the most favorable of circumstances of profit margins being met, no one can predict the future. There are competitors, customer behaviors, supply costs, technological advances, and so much more that can change so rapidly that those who do not acknowledge are destined to fail. Double A Market Consultants adheres to the motto “PROSPECT. CONSULT. DEVELOP. PRESENT. CUSTOMIZE. IMPLEMENT. FEEDBACK.” because that is our strategy. The motto is an ongoing cycle that self corrects. Regardless of the business type, most companies operate in this cyclical nature with some cycles taking longer to complete than others. A manager should measure the company’s business cycle in comparison to others in the industry. In other words, how quickly are customers moving from the first step to the last and back to the first, and is it comparable to that of the competition? Once this is known, a plan can be developed to address the realized outcome. Business owners sometimes focus on one aspect of marketing. Almost every time I go out to meet owners, someone will respond that advertising is an expense that cannot be afforded. Advertising is but one part of the marketing strategy, but just like company uniforms, a catchy tagline, an ideal location, or hot product, advertising is just a spoke on the wheel of marketing. It may be true that advertising is not cost worth adding; it does not absolve one from having an ongoing marketing strategy. Ironically, one can have a marketing strategy that literally states that advertising will not be used. It is a requirement that all business have a marketing strategy. You would be pressed to find an existing business that does not rely on marketing. Marketing, in the simple terms, is the means in which a business communicates its purpose to customers. It develops customer expectation for satisfaction. It conveys need satisfaction. It is safe to say that nearly all misunderstandings between customers and businesses find origin in an undeveloped marketing strategy. Research begets strategy; strategy begets customer satisfaction. Remember this one thought: your customers have a need to satisfy; it is your duty to decide to provide satisfaction and in what manner. October 2015, marked the start date of Double A Media & Consulting, LLC., a company which is home to Double A Market Consultants and DoctorAbrACEive.com. The purpose of the establishment is to provide meaningful marketing strategies for black, women, and other minority-owned small businesses within Mississippi, Alabama, and Tennessee. Double A Market Consultants stands ready to accept the challenge of revitalizing and creating plans of action that will increase the bottom line of clients. The consultants are an assembly of sales and marketing trained individuals with over 40 years of combined experience that proves to favorable delivering key services. The Double A group has also been established to act as an instrument to equip those new to the marketing and sales industry with the exposure that is not easily achieved traditionally. Amateur marketers are being sought for internships with the company. Interns will find that the nature of work is fully flexible and rewarding to those who align themselves with the company’s vision. Market consultations have been the largest function over the past months. Other services we offer are market campaign management, business plan development, and event marketing management. These services are planned to be an effective investment in contrast to self-managed marketing by some owners and more affordable than similar services from other marketing companies. Real. Reckless. Rude. Those words make up the motto for the Doctor AbrACEive Show. The show is the flagship podcast on the now network of podcasts. The network can be found on DoctorAbrACEive.com and reaches listeners around in the U.S. and internationally via iTunes, Stitcher, Podomatic and other mediums. Joining the Doctor AbrACEive Show are the Wrasslin Gods Podcast, Mindless Chat interview show, and The Tatyana Show. The network continues to grow. Antonio Arrington, is my name, and I am the founder and owner of Double A Media & Consulting. I have spent the past 11 years managing in the retail industry. A 2004 graduate of Mississippi State University, I have a background in marketing and business administration. Over the years, I have made numerous connections with other market-driven firms and social organizations that lead to the vision of creating a company that focuses on the needs of the small business. 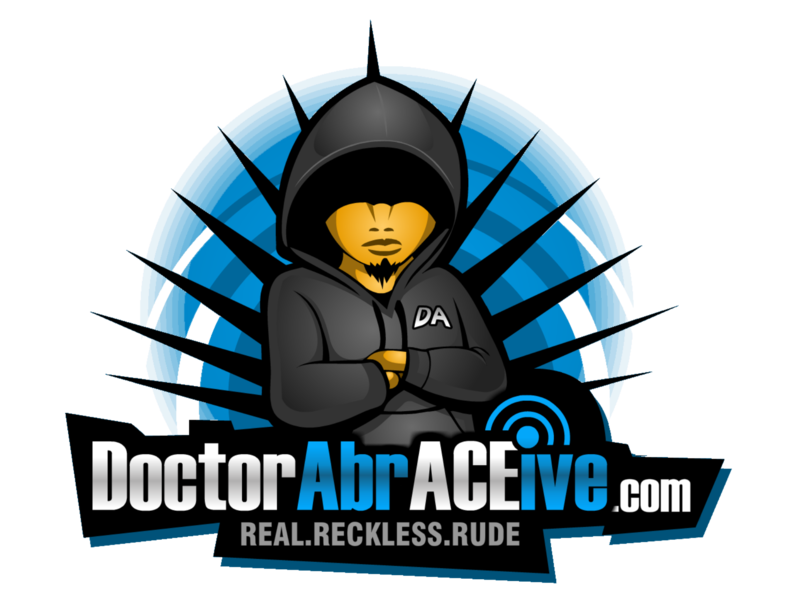 I created the Doctor AbrACEive blog in 2011 to share a personal journal. It morphed into a podcast called the Doctor AbrACEive Show the following year. I quickly noticed that I was managing a brand and that sound marketing was needed to gain listeners, even though there were no intentions to make a profit. My school training, work experience, and interpersonal skills became an asset in building a following beyond a few friends. Three years passed, and it became apparent that I had compiled the skills needed to develop marketing strategies. A year of graduate studies at Delta State University, opened my eyes to the various resources available to marketers; these resources may have been common to me and others who are tasked with handling marketing and communication but foreign to a number of small businesses and brand managers across the state of Mississippi. The foundation of Double A M&C is done. Now you will have the opportunity of working with an amazing group of consultants, that will build the four walls of marketing: Cameron Wash, Nikki Towers, and Kevin Lawrence. In addition, Shenika Black will bring the communication skills between us and the clients that will build the roof to the company. The next step is to develop a team of managers to handle the day to day operations of my company. I have studied the market, and there are ample targets that fit the description of our ideal customer. They are not easily reached, yet can enjoy the pay off of having a structured marketing plan.